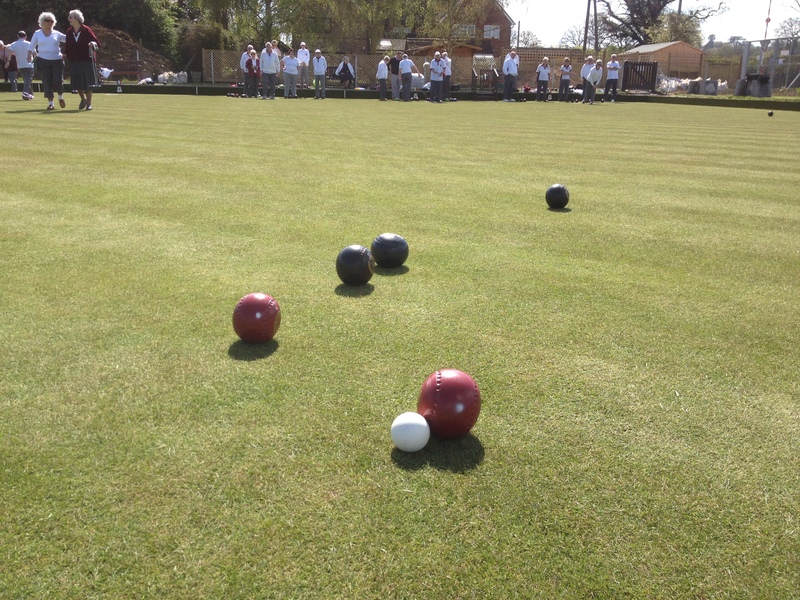 Under sunny blue skies, Burghfield Bowls Club today (13.04.14) witnessed another historic day when they opened their new green following their forced move from nearby Burghfield Bridge. President Val did the honours just after 2pm, then all 7 rinks were bustling full of eager bowlers and newbies alike, wanting to get a feel of how this immaculate new green would bowl. We were not disappointed. 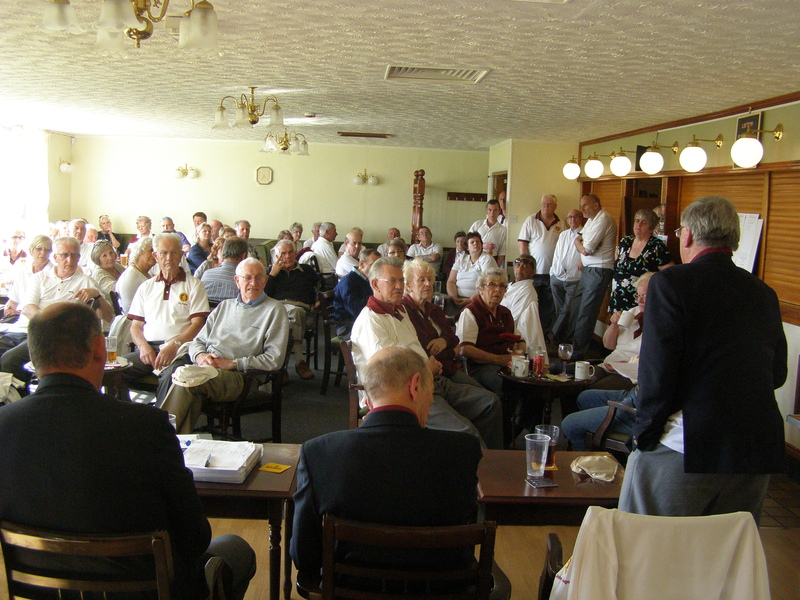 Although BBC are still in transition, we hope to grow month on month, then year on year, into the fabulous, friendly club that our ‘band of brothers’ have dreamt of since our inception back in 1990. (Clicking on any photo will enlarge it, in a new page). 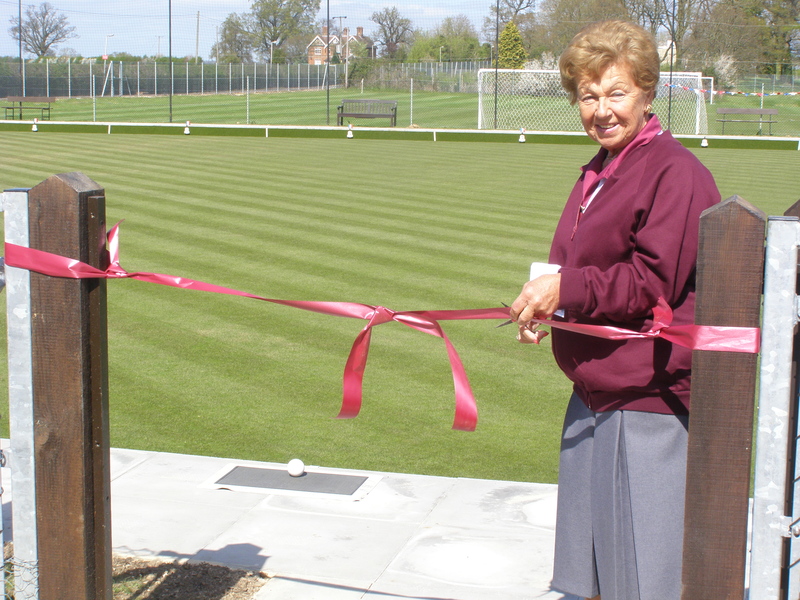 Club President Val Woodbridge opens the new green. 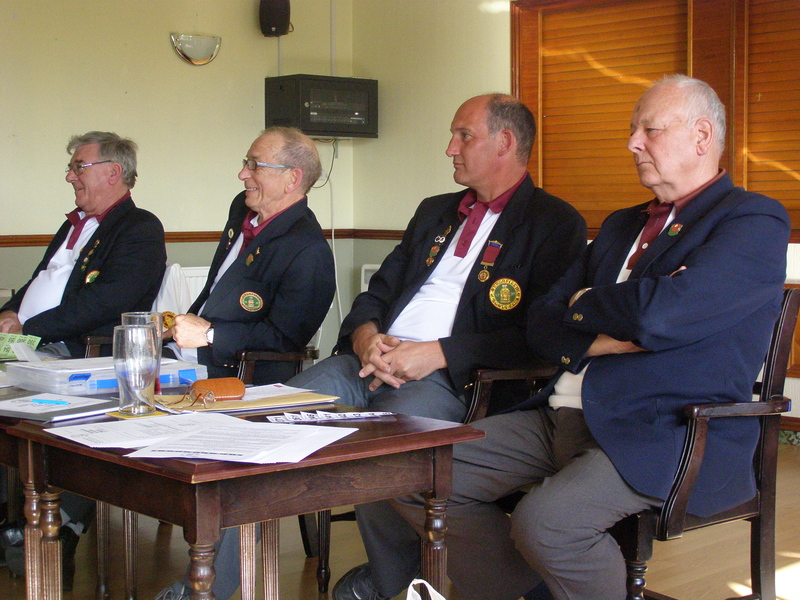 BBC members – present and (hopefully) future, pictured just before play commenced. 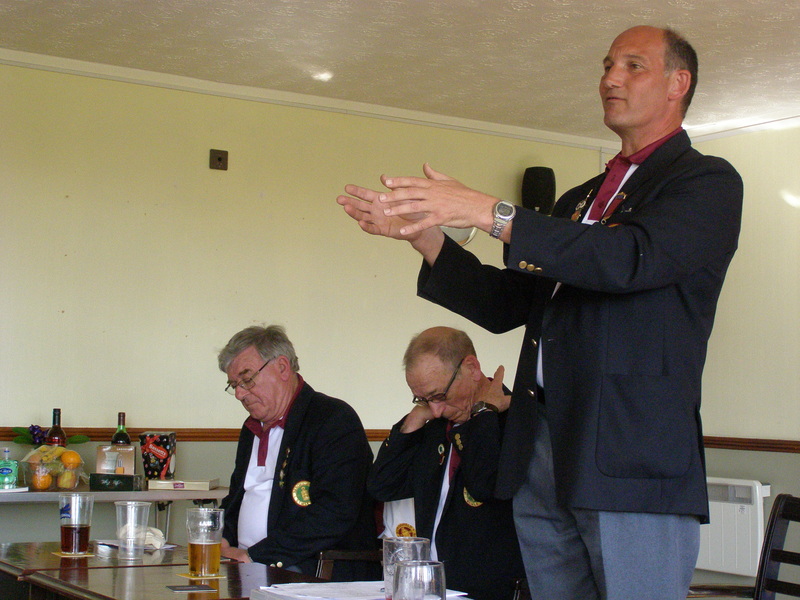 The new green played exceptionally well (as did this bowler)! Our spokesmen after the game. Kevin’s new hypnotic skills appeared to work.